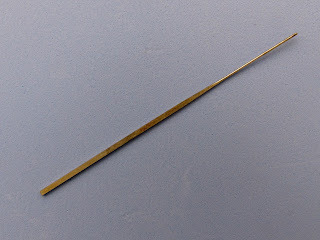 needle or a modified hook shank. 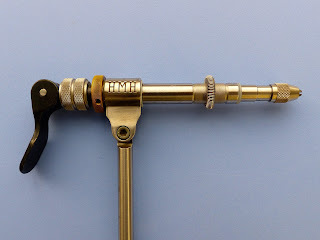 I've received a few questions about tube fly tying tools recently. 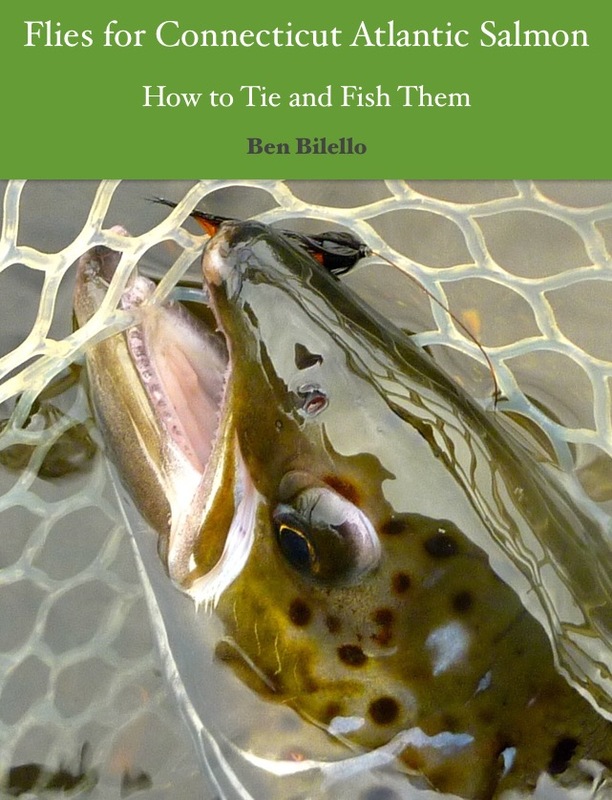 Instead of writing a new article, I am going to post an excerpt from my ebook Flies for Connecticut Atlantic Salmon: How to Tie and Fish Them. 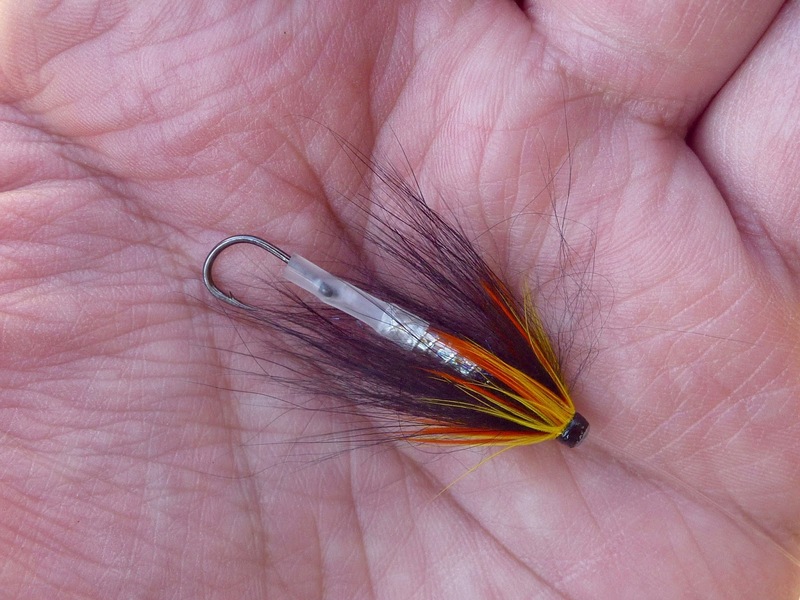 There is a plenty of information about tying salmon flies of all varieties, and not just for broodstock salmon fishing here in Connecticut. In fact, most of the flies are common Atlantic salmon patterns used in either North America or Europe. For those new to tying and fishing tube flies, rigging, tools, materials, fishing strategies, and fly recipes are covered in depth. The text below is a small part of Chapter 1: Tools, Materials & Salmon Fly Anatomy. Since tubes are not held directly in the jaws of a vise, a means with which to hold them is necessary. Most tube fly systems use either tapered mandrels or tapered needles. The taper is important because it prevents the fly from rotating under thread tension. Special tube vises can cost $150 or more. On the other end of the spectrum, objects found around the house might work as well as anything and they don’t cost a penny. I am not going to explain every brand and option. There are books and websites that can weigh all the options for you. Instead, I will tell you what works well for me. I take a sort of “middle of the road” approach. 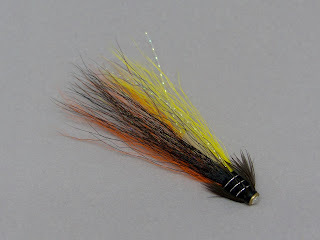 Listed below are the tube fly tools I use on a regular basis. 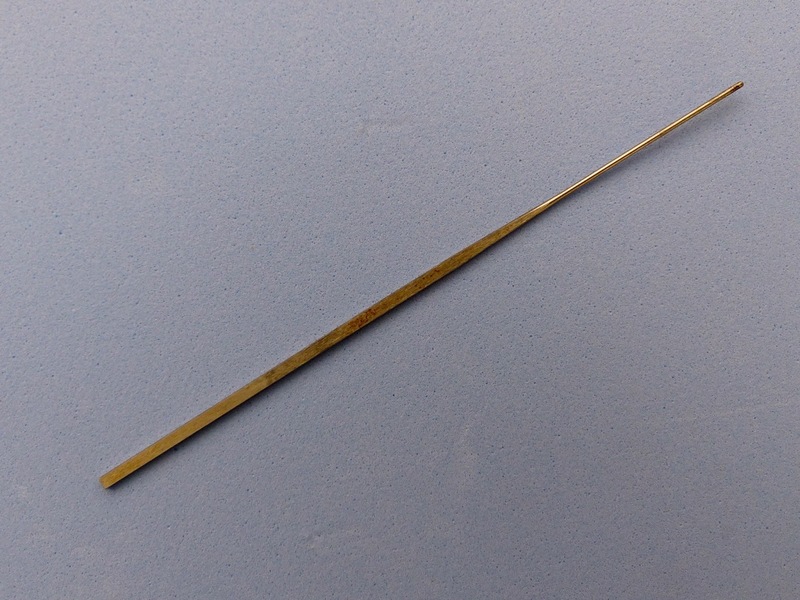 Tapered Needle - It helps to have a tapered needle with a flat profile. The flat profile helps prevent the tube from spinning under thread tension. My needle of choice is the Pro Tube Flexineedle. There are no additional tools required to hold the needle. It fits into the jaws of any conventional fly tying vise. The Flexineedle works best for medium sized tube flies, both plastic and metal. The vast majority of my tube flies are tied on this $17 item. Modified Hooks - When tying very short tube flies, I prefer to use modified hooks. A short tube sits too far back on the Flexineedle to make tying comfortable. A hook shank is much shorter than a tapered needle. It’s easier to wrap thread on a short tube when there isn’t two inches of tapered needle extending from the open- ing of the tube fly. 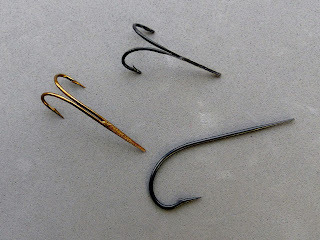 In my experience, the most suitable hooks are large double hooks. Because the wire eventually splits to form both hook bends, a natural taper exists. A tube can easily be pushed back against the taper. Old blind eye hooks work well too, especially large, heavy iron hooks. Almost any large fishing hook will work, though. With a Dremel tool, I remove the eye and grind the side of the shank flat. If the hook doesn’t already have a taper built in, I grind one with the Dremel. Also, I cut the hook points off to avoid catching the thread. I had suitable hooks laying around, so these tube tools didn’t cost me anything. Tube Vise Tool or Converter Jaws - This is the least useful tool of the three, but it is the most expensive. I use the HMH Tube Vise Converter. It is a set of “jaws” that screw directly into my HMH Standard vise. The converter costs $65, but is only useful for those who already own an HMH vise. In lieu of buying new jaws or a dedicated tube vise, the most economical option is to buy what’s known as a “tube tool.” These tools come with pins or tapered mandrels and fit in the securely jaws of most standard vises. They can be usually be found for $20-$45. I only use my HMH tube jaws for tying one specific type of fly (the Snaelda/Frances, found in Chapter 4). The HMH converter works perfectly for those flies. If I didn’t need to tie either the Snaelda or the Frances, I would have no use for the HMH jaw. Other than those two flies, all of my Atlantic salmon tube flies are tied on the Flexineedle or on a modified hook shank. The only other tools needed to tie tube flies are a lighter (or candle) and a supply of single edge razor blades. If you use a whip finish tool, an extended-reach model is helpful. As you can see, making the leap to tying tube flies doesn’t have to cost much money. on either a tapered needle or modified hook shank. As always, don't hesitate to comment below or contact me with any questions you might have about tying tube flies or anything else.